What better way to spend with some friends than to enjoy some vino while painting your Masterpiece. 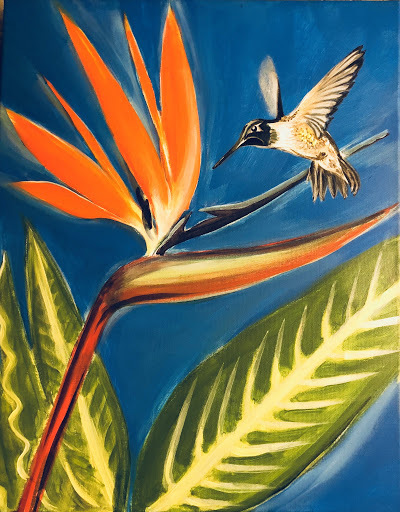 Come join us at Bella Collina in San Clemente for step-by-step Instruction on how to recreate this beautiful painting 'Hummingbird in Paradise'. You'll be using acrylic paints to create this creation. Have a fabulous time sipping your favorite drink and being creative with your friends at this fun paint night art class. Cost is $45 and includes paint and supplies. Use code BELLA25 for $20 off the ticket price.